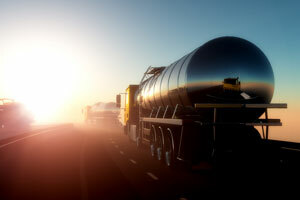 A review of the Heavy Vehicle National Law (HVNL) approved by Transport and Infrastructure Council of Federal, State and Territory Ministers will consider improvements to the recent terms of reference submitted by the National Transport Commission (NTC). These included amendments to enhance safety and productivity in response to the newly announced National Road Safety Governance review. Deputy Prime Minister and Minister for Infrastructure, Transport and Regional Development Michael McCormack said the NTC’s terms of reference reflect a consensus that the HVNL is overly prescriptive and complicated and falls short of being truly national in its current form. “It is now widely accepted that while the first iteration of the HVNL in 2012 was an improvement on the previous multi-jurisdictional situation, it now needs to be comprehensively overhauled,” Mr. McCormack said. “Extensive consultations will be held with stakeholders as part of the review including trucking industry representatives and related industries, policy and law enforcement agencies, the National Heavy Vehicle Regulator, all three tiers of government and members of the Australian community. Mr. McCormack said the NTC would consider industry feedback and focus its investigation on key priority areas, including safe and efficient access, enhanced fatigue management, accreditation for safer operations and telematics, technology and data. The views of heavy vehicle operators in Australia needed to be taken into account when replacement legislation was drafted, according to Mr. McCormack. Rural and regional stakeholders would be part of any consultation by the NTC, as would those in urban areas. “The review will complement other Government priorities such as the development of the National Freight and Supply Chain Strategy and the recently announced National Road Safety Governance review,” Mr. McCormack said. “Members of the Transport and Infrastructure Council of Ministers are looking forward to receiving the NTC’s first set of recommendations near the end of this year,” he said. “This review complements the Liberal and Nationals Government’s $75 billion infrastructure investment plan which aims to help all Australians get home sooner and safer, with road safety improvements a key priority. “This $75 billion plan delivers major investments in congestion-busting infrastructure for our cities and in ensuring the safety and efficiency of key links to and within regional Australia are improved for all road users, to a standard that supports the demands of our growing national economy.